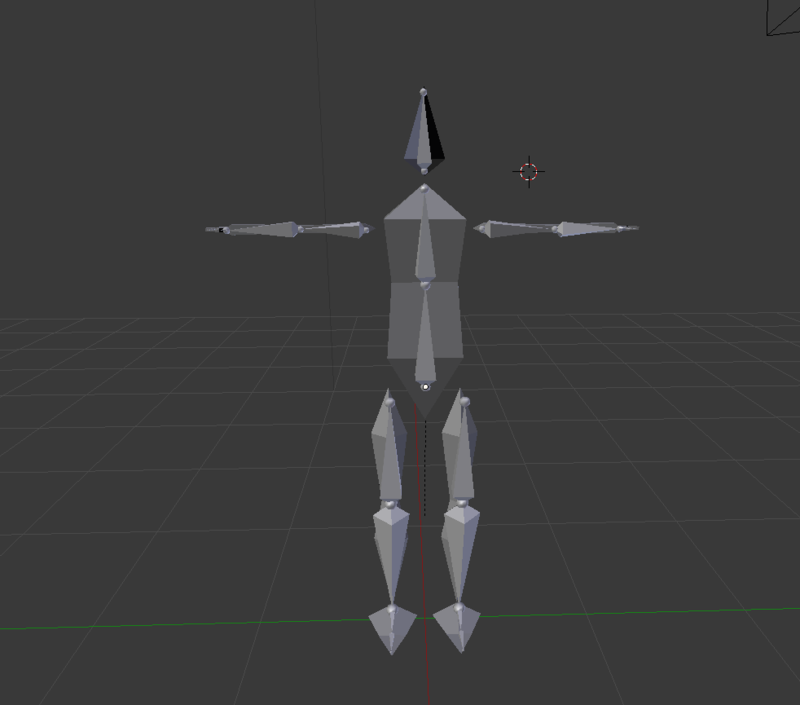 i just started with Blender and i tried to create a basic character to experiment with. 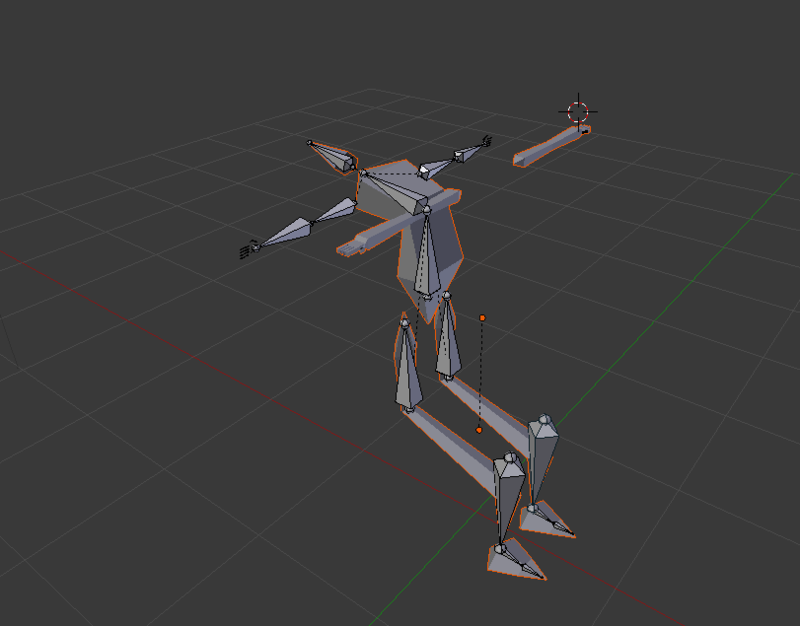 I watched some tutorials about modelling and rigging and everything went fine, but when i tried to parent the mesh and armature an error ocurrs (Bone Heat Weighting). I googled a bit and managed to parent the head, legs and body to the armature. Only the arms are left. Also, the bones of the legs seem to be seperated. How can i fix these 2 problems ? 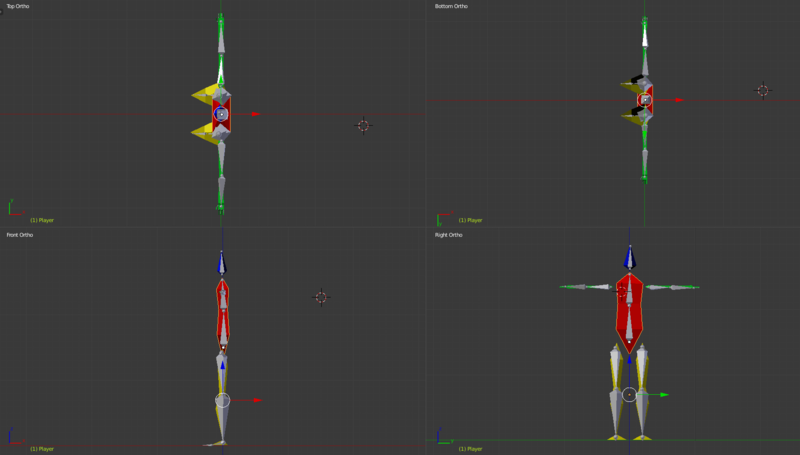 Here are some screenshot for visualization. Bones: I named them in German because it is easier for me. 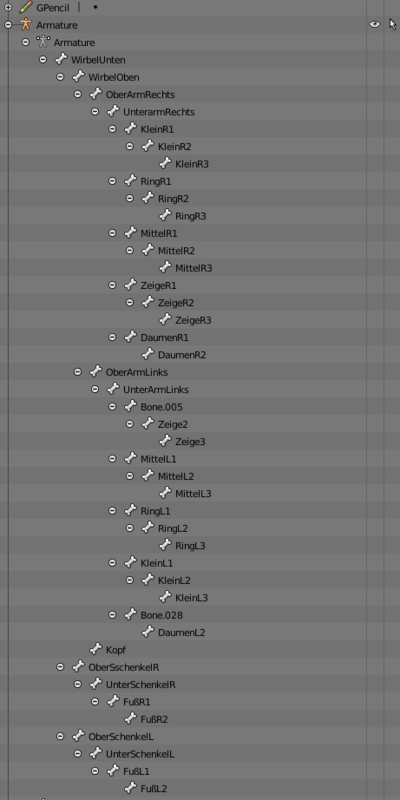 How do I link armature on separate objects to work together?